With the introduction of newer and innovative technologies over the past few years, businesses have been trying to keep up and find creative and useful ways to adapt them to work within their organizations. Today, many companies are highly involved in social business and making it work for their customers. To gain a better perspective of this concept and its future direction, TNW spoke with Jive Software’s CEO Tony Zingale. Just a year ago, Jive Software went public in the hopes of raising $100 million on the NASDAQ stock exchange for its social business platform and services. Similar to other services like Yammer (which Microsoft bought recently), Jive has been trying to capitalize on the enormous popularity of social platforms like Facebook and Twitter with a desire to bring them into the business world to build a better relationship with customers. Zingale believes that social business trend is working and has been picking up at a tremendous pace. Conversations within businesses are no longer happening between CEOs, CIOs, or even marketing where they would traditionally shake their heads over any discussions about whether the company needed to be social. Instead, discussions are happening with the people in the trenches who are in front of customers and the public. Being social is no longer a thing that can be ignored and put off as something meaningless. Zingale said that there’s a better way to get work done and that companies need to utilize a social platform that is proven, deep, and available through the public or private cloud. Zingale believes that we’re moving into a time when social is interacting with all parts of the enterprise, something we haven’t seen since the introduction of email. And while companies may be slowly adopting social technology, they’re beginning to derive some value from it, such as better employee communication, better sales, etc. With more companies moving to social platforms, Zingale wants to make something abundantly clear: the enterprise is cool again! Last year, the “in” thing happened to be around coupons and social gaming, but now, the enterprise is what people are interested in. Why? Because that’s where work actually gets done and it has the largest monetization strategy. Zingale believes that there’s a revolution happening in the way work is being done. Companies are realizing that in the enterprise, savings can actually be realized: costs go down by tens of millions of dollars, reduction of staff isn’t needed, increased revenue, etc. The reasons to go to the enterprise are compelling enough and can justify why social collaboration platforms like Jive and Yammer are needed. Mobile is also playing a big part in the enterprise market. Zingale says that it’s becoming the workhorse of the knowledge worker and will eventually become the primary vehicle on which work will be done. He’s not discounting the tablet or desktop market, but he does believe that as more teams are not staying at their desks working, the mobile device is becoming ever-so important. Companies have, in fact, began to figure out that if employees bring their devices to work and secure it in a way they feel comfortable, productivity and innovation can happen. Sales teams are now actively going out into the field with iPad or other tablet devices in an effort to make it easier for them to present to customers. 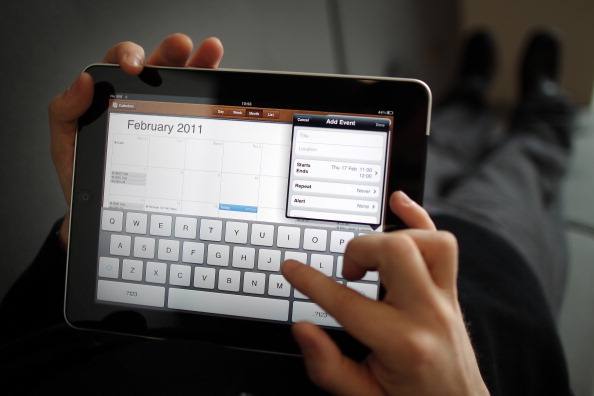 Just last week, Jive partnered with Showpad to have it power its Jive Present iPad sales application. Additionally, social collaboration solutions are working with Box to have all of their documents shared across multiple platforms, not to mention having their teams work efficiently on tablet devices through Box’s OneCloud application. The potential is there and you can probably expect more businesses to roll out innovative solutions in the near future. For Jive, Zingale says that their entire platform is built with the understanding that the mobile user experience is assumed (i.e., it will work on the iPad, Android device, Blackberry, etc.). He says that the difference with other platforms and Jive is the user experience — enterprise companies have failed to deliver a great user experience on smart devices. In fact, the mobile experience has been dumbed down where you start with the desktop version instead of mobile. Zingale gives an example where he says starting with Jive 7, it will be the company’s first tablet version. Next it will evolve to work on the iPhone and Android devices before being done for the desktop. In the end, Zingale told me that the story isn’t about him or his belief in what the enterprise is going to become, but rather the people and customers and how they’re using it to change their business. To say the least, companies have definitely been changed as a result and it’s going to be interesting to watch how the market evolves further.